Who doesn’t love Pokémon, right? After all, we have grown up while watching the series and it became an integral part of our childhood. From the original Pokémon cartoon series to the new-age movies, Pokémon fever never ceased to die. It doesn’t matter if you are looking for Pokémon songs for yourself or your kids – we have a surprise for you! In this post, we have collected a full list of the best Pokémon song in Hindi that you would love to listen. Walk down the memory lane or simply let your kids watch these Pokémon Hindi songs that we have handpicked for you. Start your journey by listening to the official theme song of Pokémon. The track used to be featured in almost every episode in snippets. Now, you can listen to the entire version without any interruptions in between. The opening track of the Pokmon: Lucario and the Mystery of Mew is probably one of the most widely known tracks of the series. If you are a true Poke-fan, then you must have heard this song numerous times too. Now, you can simply add it to your playlist. Team Rocket is an integral part of the Pokémon series and our list would be incomplete without including their monologue. Dubbed in Hindi, this one is certainly a classic. One of the most heart-wrenching moments for any Pokémon fan was when Misty bid her goodbye to the team. The “Alvida” (Goodbye) song is certainly one of the most emotional Pokémon Hindi songs out there. Besides giving a lengthy monologue, Team Rocket also gave a few entertaining performances in a handful of episodes. Their Forever Hindi track is certainly one of those moments that we can’t forget. Your kids would also love this song due to its timeless charm. Another heartfelt moment in the Pokémon series was when Ash bid goodbye to Pikachu by leaving him in the middle of his journey. Though, they both were reunited afterward, the moment was certainly a turning point in their friendship and became a memorable one with this beautiful soundtrack. Finding the perfectly Pokémon title song in Hindi can be a tedious task. 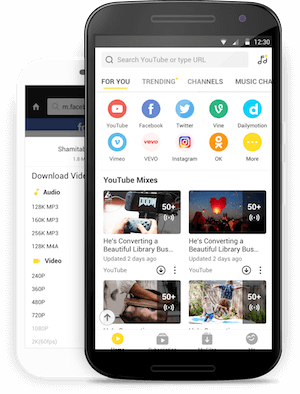 If you don’t want to go through so much hassle, then simply try Snaptube. Since it has integrated lots of streaming, social, and entertainment channels in one place, you can easily meet your requirements. You don’t need to switch between various apps to look for the video of your choice. Apart from Hindi Pokémon song, the app also features all the popular Pokémon episodes as well. Snaptube is certainly an essential app that every Pokémon fan should have. The app runs on every popular version of Android and is available for free. Yes – you can start streaming Pokémon series without paying a single dime. You can also watch other cartoons, anime, regional shows, international movies, and so much more. After listening to a few emotional tracks, it is time to bring a change to your playlist. The Joto League Pokémon Hindi song is an uplifting track that you would love to listen to while getting pumped up in the morning. This instrumental track is unlike any other Pokémon Hindi song. It starts with a subtle rhythm and gradually catches up to have an inspiring arc in the end. This opening song of the World Championship leg of the Pokémon series is undoubtedly one of the most inspiring songs for every Poke-fan. It was played during the opening of the Orange Island tournament and had an upbeat music to it that is sure to get you hooked. Another hit Pokémon Hindi song that you would love to listen to is “Born to be a winner”. The extended version of this song will let you listen to your favorite track without getting any interruptions in between. The Rise of Darkrai features the new leg of the Pokémon series. If you want to experience all the new adventures with Ash and his team, then start by giving this inspiring Hindi Pokémon song a listen. The XY series is one of the most memorable legs of Pokémon as it introduced tons of new Pokémons. The opening song of the series is equally energetic and would be loved by people of all generations. One of the best things about Pokémon is that the show had dedicated farewell songs for every major character and Pokémon. The Butterfree goodbye song was played when the Pokémon was freed by Ash to explore the unknown. “A Scare to Remember” is a monologue song by Ash that would make you remember the initial run of Pokémon. It celebrates his friendship with Pikachu. 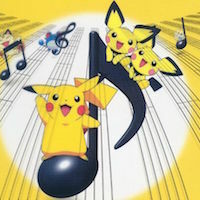 The last mention in our list is a mix of the opening tracks of the first four seasons of Pokémon. It also includes a Pokerap, which was featured at the end of the Indigo League. Needless to say, it is a great mix and will certainly be loved by every Pokémon fan out there.